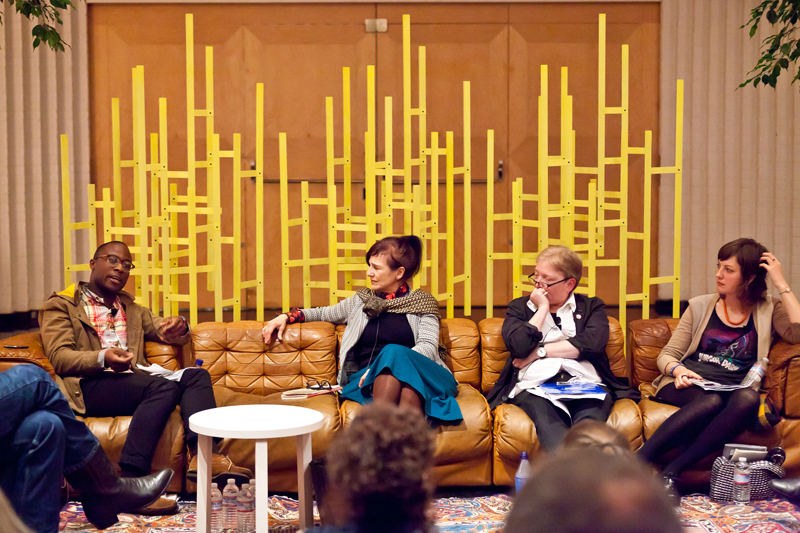 (From left to right) Barry Jenkins, Margaret Tedesco, Terry Castle, Lindsey Boldt. Photo by Chris Brennan. Filmmaker Barry Jenkins describes the first production at The Garage on San Francisco’s Howard Street in 2007 (the play Under the Bed by Margery Fairchild), and what happens when you stage a performance in an actual garage.